I bought these because it is kind of hard to clip my toe nails. 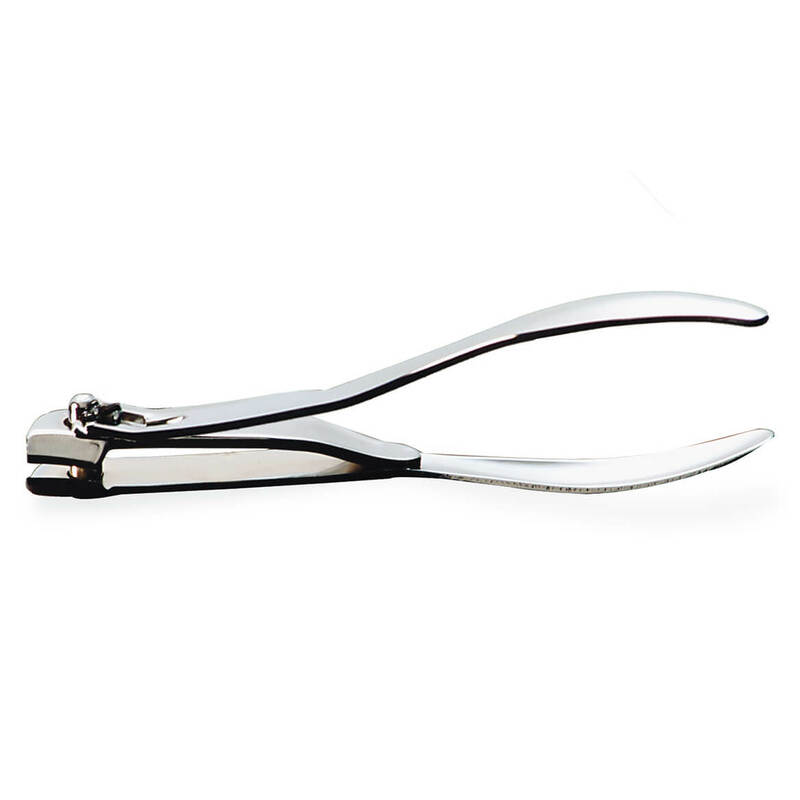 The side clippers are very easy to use and are do a great job on my nails. They are easy to grip and my boys like to use they. Very handy to use, you can see what you are doing. I have a hard time cutting my toe nails because my feet are so senstive. I can never get my toe nails cut the way they should. But with these clippers I can see where they are on my toe nails and it helps me be more secure cutting my toe nails on my senstive feet. The shape of these clippers make it easier to trim my toe nails. yes, this works very well! makes a difficult job much easier! These clippers are excellant for getting in the corners of ingrown toe nails. I recommend these for everyone with that problem it will give you such relief. I like the wider opening. I like the long handle. This clipper gets the job done and it's easier to use. Makes for a quicker completion time. I will buy these again and again.. forever! I bought these clippers years ago and was so impressed I ordered them for friends. I saw them again and thought my old ones are a little dull after all these years so.... ordered more for myself and a couple of friends again. These are great for nails not too thick. Great to use on yourself or clipping nails on children. I can not give these higher praise. One of the best things I've ever ordered from Miles Kimball and they have lasted for years! Great item for a person who has trouble bending far enough to cut your own toenails. This has really helped out. great device, easy to handle, easy to use and does the job. left thumb is missing so it is hard to use regular clippers, with the longer handle it makes for easer use, still turn over and use in reverse. no left thumb so I turn clipper over to use, just hard to see to cut toe nails, works great other than that. Great item on an ANGLE ! Love this product. So much easier to clip toenails at an ANGLE. Will take some getting used to the angle, but these are well-made and should give years of service. I have been having trouble trimming toe nails for the past few years. I was hoping this would make the process easier. I guess, I just have to keep practicing and hope it gets easier. don't know if it will happen, I have all but given up on something easy made for the consumer in this area. THIS CLIPPER IS TO SMALL.OK FOR CHILDREN MAYBE. I requested a replacement, hopefully the next will work. The idea is great. I like the long handle for ease of use. The cutter opening is too narrow for easy cutting and will not work for toe nails. the blades don't line up & they don't cut anything! THEY ARE AWKWARD TO USE. MAYBE I'M JUST USED TO USING THE STRAIGHT CLIPPERS FOR 60 YEARS. I needed a good nail clipper for my fingernails and I like my nails curved not straight. I have trouble cutting my toe nails and this item look like it will make it easier. hoped they would be easy to use...but they do not clip cleanly so I threw them out.. Supposed to be easier than regular clippers. Thought maybe a side angle clipper would be easier to use. It's okay. I have arthritic hands and needed a new pair of clippers. Looks like it would make trimming easier. Tried them at a friends loved them. disabled, works well for me. Easier to use than standard clippers. everyone should own this easy to use. Thought I'd try this type of clipper. Going to try it, hope nail clipping is easier, and the clipper is of good quality? As one ages, these clippers are more desirable in order to reach your feet and cut those nails yourself! Will these work for cat nails? BEST ANSWER: I think they would work well for cat claws as long as a regular nail clippers worked for you previously. Hope that helps! How long is the blade (not the handle)? BEST ANSWER: Actual cutting blade area is approximately 1/2 inch wide.